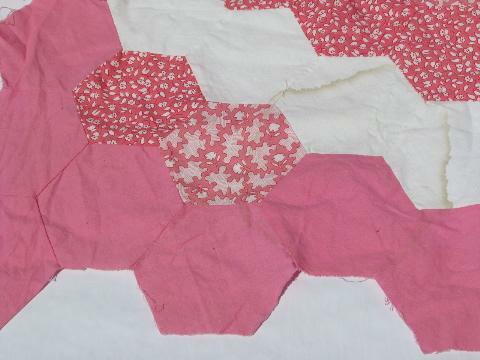 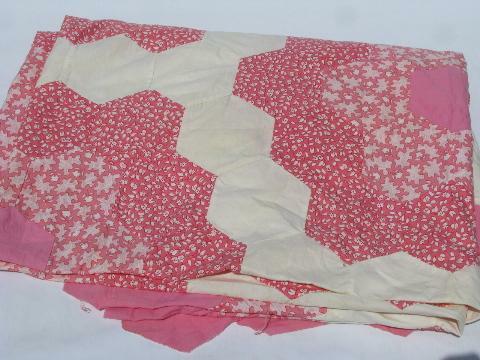 30s vintage antique patchwork quilt top, candy pink cotton prints, huge! 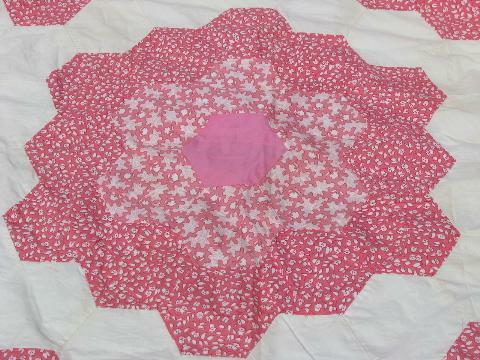 Nice old antique quilt top in the Grandma's flower garden pattern, pieced from all cotton fabrics, hand-stitched. 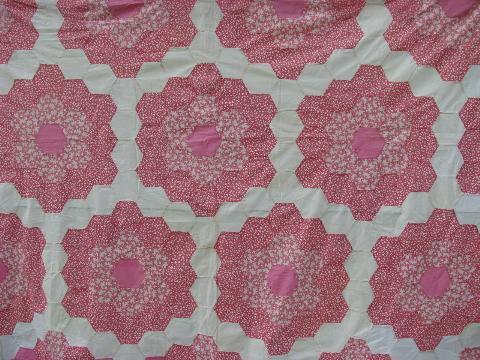 This measures 72" x 94", we're guessing the age to be late 1930s or early 40s? 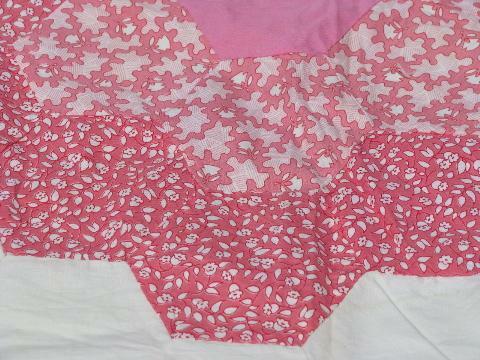 This has a few water marks from storage, nothing that looks like a spot or stain. 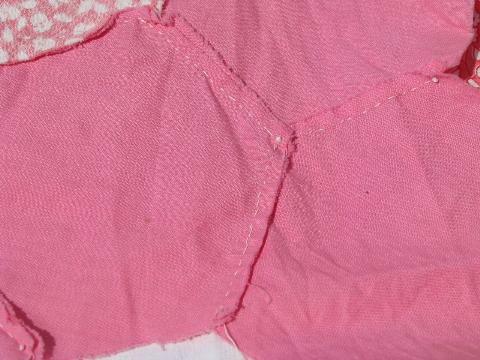 The fabrics look very good, not worn or frayed at all.